Inn Paradiso is situated on a breezy hilltop amid ancient oaks trees minutes from the center of Paso Robles. Deer, fox and hawks abound on the property. The sunsets are extraordinary and the velvety black night sky lets the stars shine bright. Great restaurants, wineries, farms and a hot spring are all nearby. 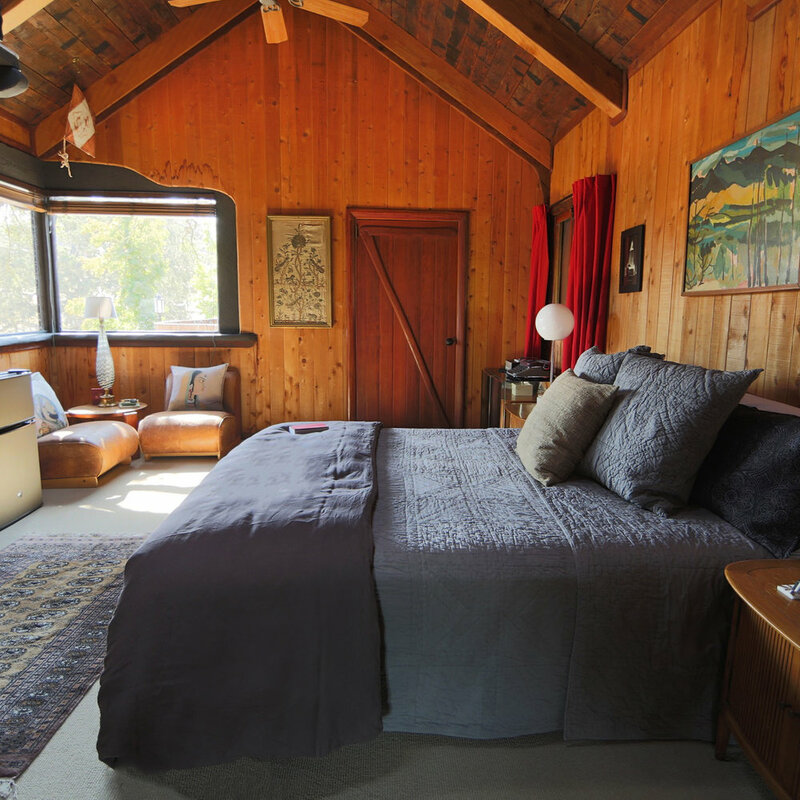 The Inn is richly furnished with mid-century furniture, antiques, art and original photography. Inn Paradiso is uniquely handcrafted of old growth wood and hand-forged metal. It has rustic elegance with a modern eclectic design aesthetic.